hd00:18NEW YORK - AUGUST 11: Foot and vehicle traffic in Times Square on November 11, 2011 in New York. 4k00:13Tokyo, Japan 4-Feb-2019 Crowded of people are crossing the Shibuya famous street juncion during daytime. 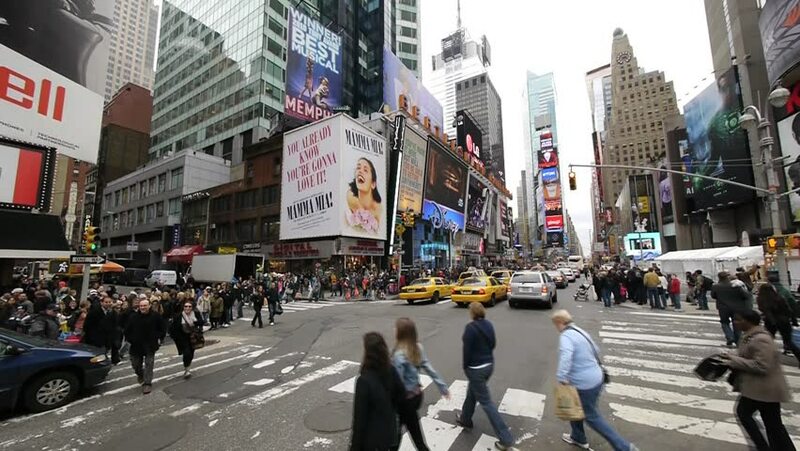 hd00:12NEW YORK, USA - CIRCA MAY 2015: The famous Times Square in New York, USA. With over 39 million visitors annually, it is one of the world's most visited tourist attractions.